Gandhinagar, July 21 (IANS) Congress party leader Shankersinh Vaghela on Friday announced that the party high command had expelled him. 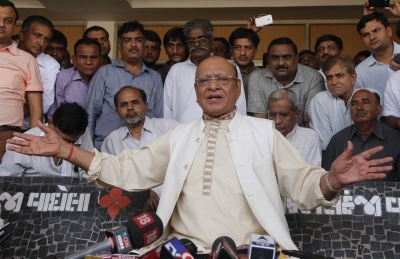 Addressing a gathering here on his 77th birthday, Vaghela said the party has shown him the door, but said he will not quit. He said the party did not even wait to hear what he would say at Friday’s event before taking the decision to throw him out. Vaghela termed it a case of “vinashkale vipareet budhdhi”. On Thursday evening, the Gujarat Congress issued a warning to Vaghela not to “play any politics” under the guise of his birthday celebrations with his supporters and legislators. He was also told that his public utterances would not be tolerated by the party any further. The maverick Vaghela, who had snapped ties with the Bharatiya Janata Party in the late nineties to set up his own party that later merged with the Congress, has been telling the party high command to hand over reins of the December election battle to him.